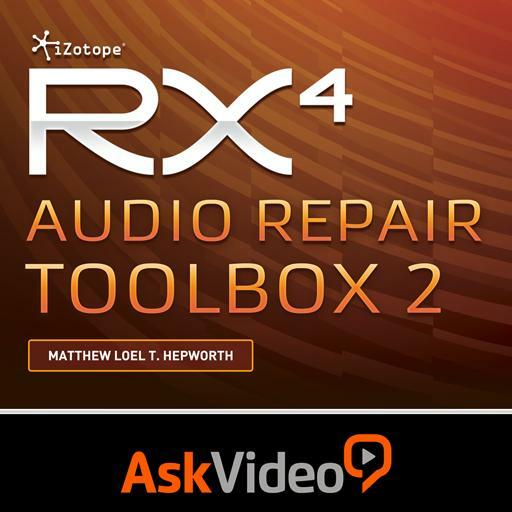 iZotope RX 4 - Audio Repair Toolbox 2. What module did Matt suggest for attenuating 'Preamp Distortion'? Name an advantage of saving a file in the .rxdoc format over the .wav file format. The .rxdoc format retains the files undo history. The file retains region information. The file retains marker information. You are unable to create fade ins or fade outs with Izotope RX4: True or False? The 'Brush Tool' enables the user to paint additional harmonic content into a weak audio recording. True or False? The 'Frequency Selection Tool' enables the user to select frequency content within a particular time frame. True or False? What is the shortcut key command for the 'Time Selection Tool'? Low frequency content is represented at the bottom of the spectrogram: True or False? What is the shortcut key command for the Time Selection Tool? What colour is the Spectrogram View? The Lasso Tool enables you to make a free hand selection of both time and frequency: True or False? The Time Selection tool enables you to make both a time and frequency based selection: True or False? What is the shortcut key command for the 'Time-Frequency Selection Tool'? What colour is the Waveform View? Is it possible to auto detect 'hum frequency' in the Remove Hum module?